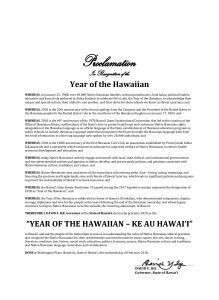 As our Governor, David Y. Ige, proclaimed 2018 as “The Year of the Hawaiian – Ke Au Hawaiʻi” we have chosen to echo that theme in this year’s edition of our Archives Month poster. Click on the image to the right to see a larger version or click on the link below the thumbnail to download a high-resolution PDF file. 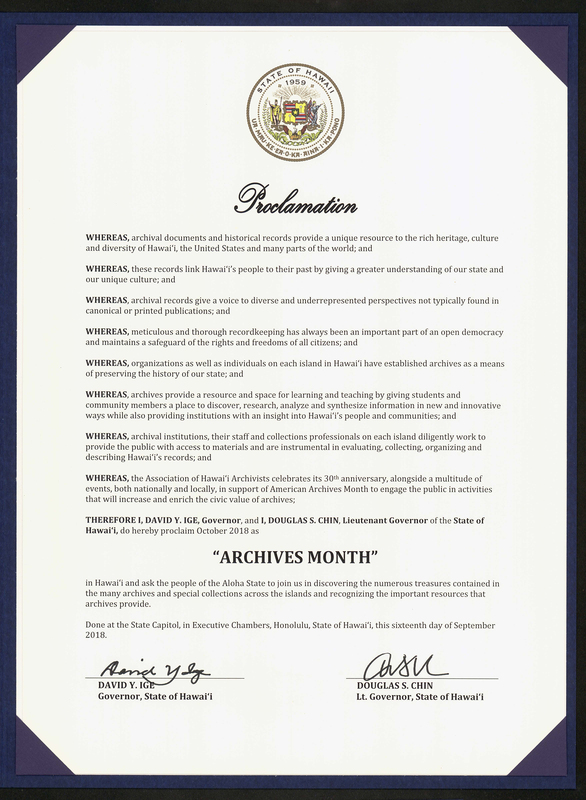 For 10/10, Electronic Records Day, we will be presenting an update to the Digital Archives and the progress we have made. Kamehameha I was born at Kokoiki, moku o Kohala, mokupuni o Hawaiʻi, Kō Hawaiʻi Pae ʻĀina [Hawaiian Kingdom] to Kekuʻiapoiwa II and Keōua. Immediately following the birth, the child was secreted away by a trusted relative, Naeʻole, in order to escape an edict of death by ruling chief Alapaʻinui. Raised and trained away from the royal court in relative solitude, the young boy would be given the name Ka-meha-meha [the lonely one]. From these troubled beginnings rose the most dominant figure in the history of the Hawaiian Islands. 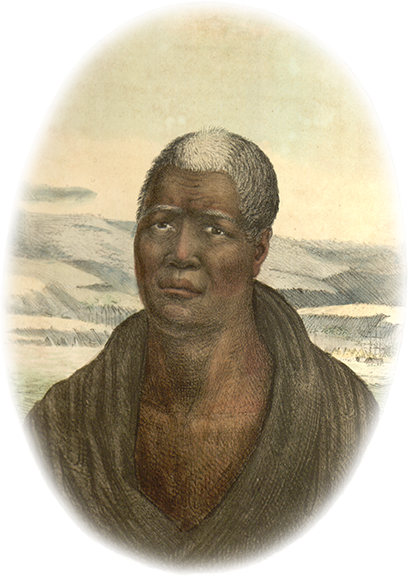 Kamehameha received training in religious responsibilities and warfare from the renowned warrior Kekūhaupiʻo, eventually being brought back to the court to serve in the ongoing battles between rival Hawaiʻi Island and Maui kingdoms. Rising through the ranks to take control of significant portions of Hawaiʻi Island himself, Kamehameha would create alliances both internally and with newly arriving foreigners that would help secure his eventual dominance of Hawaiʻi Island. While the Hawaiʻi Island mōʻī [monarch] was known for his diligent service to the akua Kūkāʻilimoku (Kū that snatches islands], it was his taking of the Maui aliʻiwahine Keōpūolani—the highest ranking woman in the Islands–and her familial deity Kihawahine that both supported his eventual unification of rule over the archipelago and created a family dynasty that would produce five of the eight sovereigns of the Hawaiian Kingdom (1810-1893). On 24 Novemapa 1816, Russian painter Louis Choris, draftsman on board the expeditionary ship Rurick under Capt. Otto von Kotzebue, sat with the elderly Hawaiian monarch and produced the only known images of Kamehameha I, founder of the Hawaiian Kingdom. The resulting sketches and watercolors of “Tammeamea, Roi de Isles Sandwich” introduced the native monarch to the peoples of Europe, America, and eventually the world. 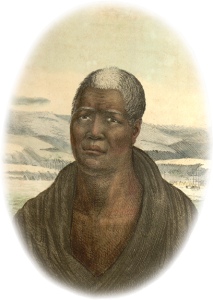 Kamehameha I died 8 May 1819. 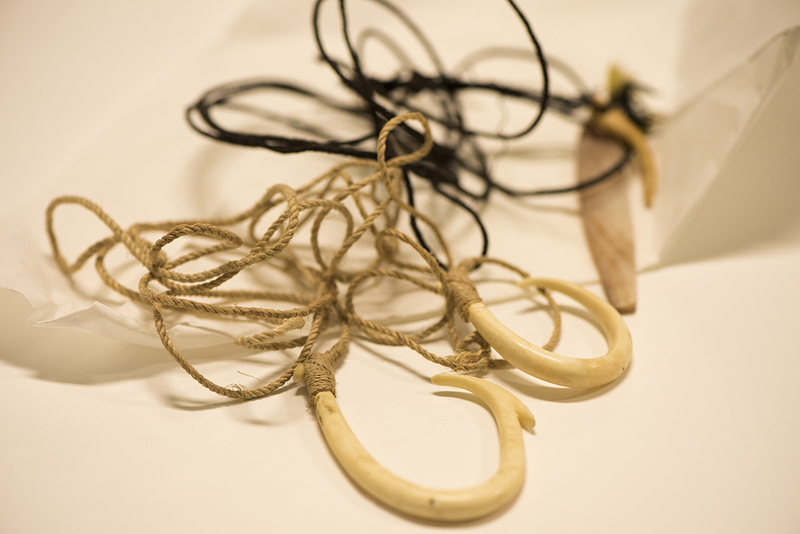 As customary, his iwi [bones] were hidden and buried in secret lest someone find them and capture the mana within. Emma Naʻea was born on 2 Ianuari 1836 in Honolulu, moku o Kona, mokupuni o Oʻahu, Kō Hawaiʻi Pae ʻĀina [Hawaiian Kingdom], to George Naʻea and Fanny Kekelaokalani Young. The keiki aliʻi [noble child] was raised by hānai parents, Thomas Rooke–a naturalized Hawaiian Kingdom subject from England–and Grace Kamaʻikuʻi Young. This granddaughter of British advisor to Kamehameha Paiʻea [Kamehameha I] John Young, attended school at Ka Hale Kula Aliʻi [The Royal School], educational home of five of the Hawaiian Kingdom’s eight ruling monarchs. In 1856, Emma married Mōʻī [King] Alexander Liholiho (Kamehameha IV) one year into his reign. 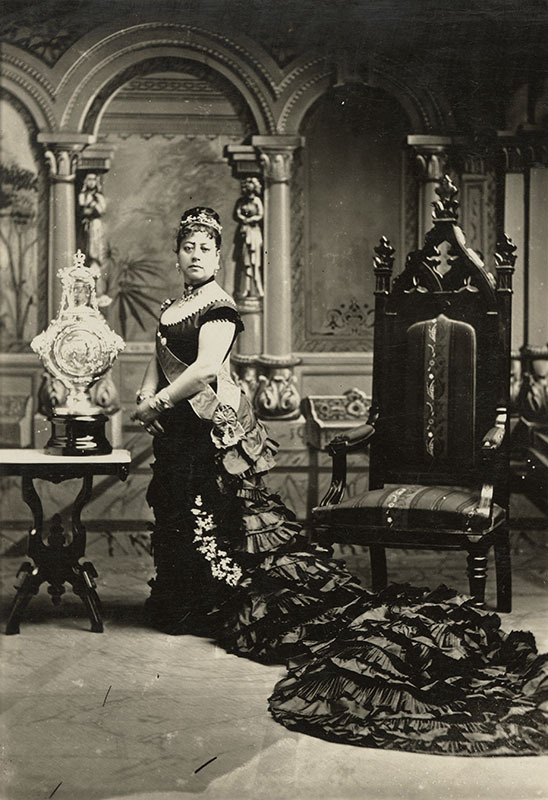 Her Hawaiian Majesty gave birth to an heir to the throne in 1858, Albert Edward Kauikeaouli Kaleiopapa; named, in a nod to his godmother, Queen Victoria of England, in honor of the Prince of Wales. Tragically, her son would die in 1862 at four years of age. Her husband, the mōʻī, would die the following year at age 29. In mourning for both her son and husband, the dowager Queen was bestowed with the name “Kaleleonālani” [those who have flown away]. In 1859, amidst continuing devastation of the native populace by introduced disease, Mōʻīwahine Emma and her husband Mōʻī Alexander Liholiho raised private funds to help found Ka Hale Maʻi o Ka Wahine Aliʻi [Queenʻs Hospital]. Mōʻīwahine Emma helped establish the Anglican Church in Hawaiʻi—incorporated as the “Hawaiian Reformed Catholic Church”—in 1862, becoming the first Anglican baptism in the Islands at a palace ceremony held on 21 ʻOkakopa 1862. 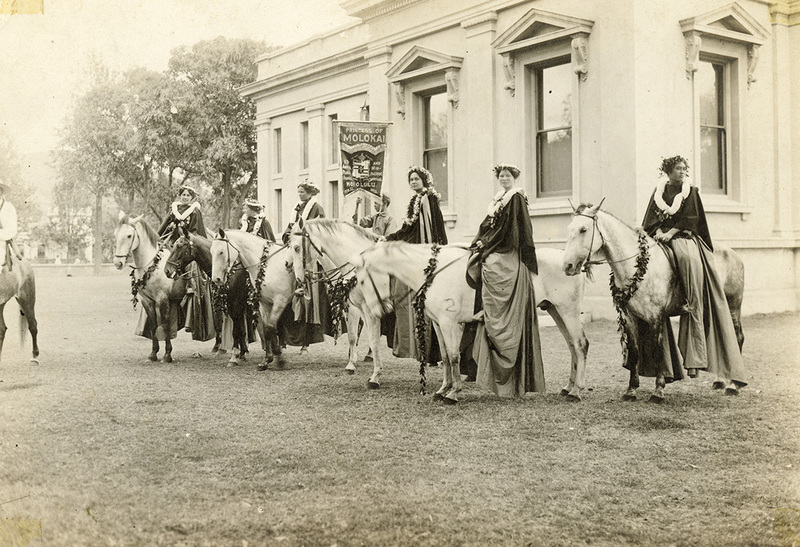 Her Majesty directed the beginning of Anglican education in Hawaiʻi with the formation of Ke Kula Luaʻehu in Lāhainā, Maui and St. Albanʻs in Honolulu, Oʻahu. 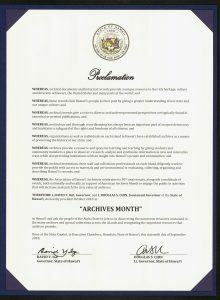 By her will, the queen’s extensive library, consisting of nearly 600 books was bequeathed to the Honolulu Library and Reading Room Association, later the Hawaiian Historical Society. 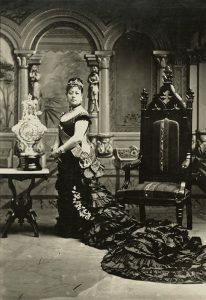 In early 1874, Dowager Queen Emma was one of two candidates for a legislative election to the throne of the Hawaiian Kingdom following the death of Mōʻī William Charles Lunalilo; the ruling monarch who had died without naming an heir. 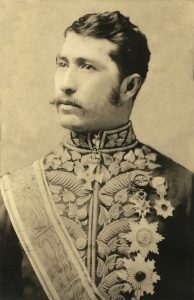 On 12 Feberuari, after David Laʻamea Kalākaua was announced as the next mōʻī, Emmaʻs supporters rioted, forcing the new sovereign to call ashore British and United States troops to put down the opposition. 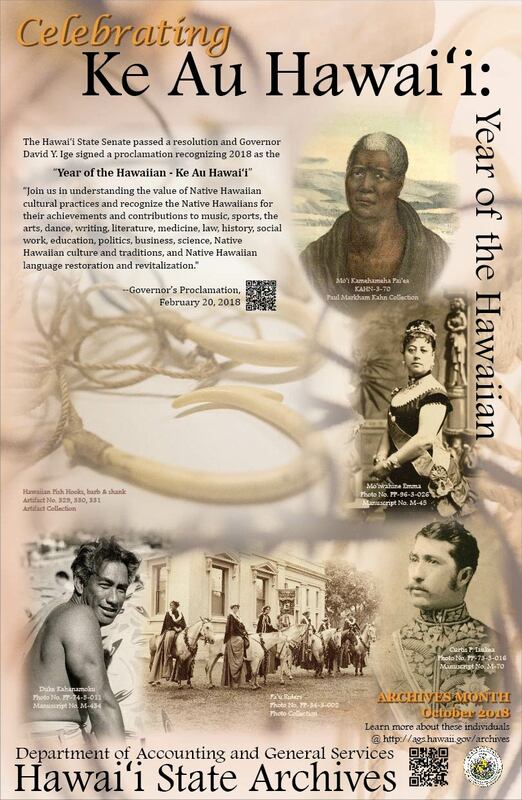 A lifelong proponent of native knowledge and rule, Mōʻīwahine Emma supported various educational and civic institutions that sought to bridge native knowledge of the past with an ever-evolving Hawaiian present. Mōʻīwahine Emma died in Honolulu at age 49 and was buried at Maunaʻala, the Royal Mausoleum in Nuʻuanu Valley. Curtis Iʻaukea was born in Waimea, moku o Kohala, mokupuni o Hawaiʻi, Kō Hawaiʻi Pae ʻĀina [Hawaiian Kingdom] to Lapaha, an aliʻiwahine of the Hawaiʻi Island “I” and “Mahi” clans, and John W. Iʻaukea, Lunakānāwai ʻĀpana [District Magistrate] of Hamakua. 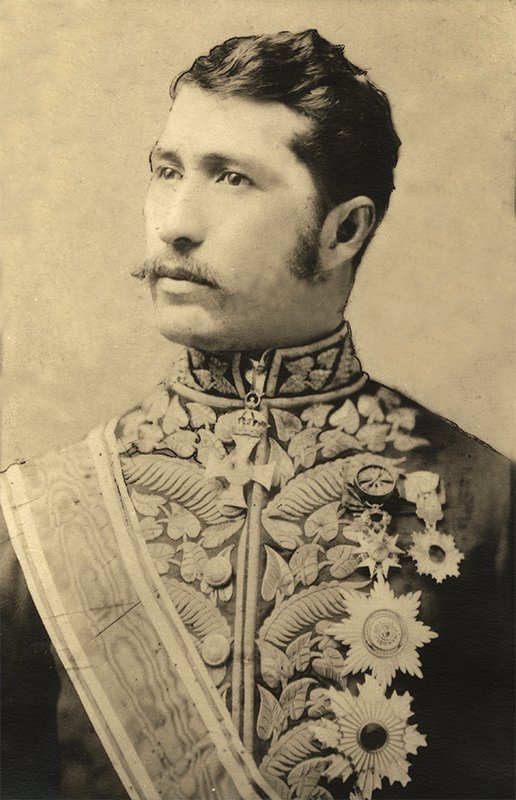 As a child, he was introduced to the royal court by his hānai father, Kaihupaʻa, who served as kahu to Mōʻī Alexander Liholiho [Kamehameha IV]. Iʻaukea attended Ke Kula Luaʻehu on Maui—an Anglican school on the shores of Lāhainā, founded under the direction of Mōʻīwahine [Queen] Emma Rooke with a mission to train future leaders for the Hawaiian nation. An incredible career of governmental service spanning more than seven decades began for Iʻaukea in 1874 when the 19-yr old Curtis was appointed to accompany his sovereign on a critical diplomatic mission to the United States—a trip in which the Hawaiian sovereign would become the first head of state to be honored at a state dinner, given by US President Ulysses S. Grant. Iʻaukea would later lead diplomatic missions to Russia; Spain; Germany; France, and Japan. At home, Iʻaukea filled positions such as Captain in the Royal “Princeʻs Own” guard; the Privy Council [Executive Cabinet] of the Hawaiian Kingdom; the Board of Health; Royal Chamberlain to Mōʻī Kalākaua; Commissioner of Crown Lands; Governor of Oʻahu; Hawaiian homes Commission; Territorial Senate; and, in 1937 Board of Commissioners Public Archives; Iʻaukea is a central reason why some of the most significant manuscript collections, including Her Majesty Mōʻīwahine Liliʻuokalani’s, is today held at the public archives on the Palace grounds. Iʻaukea died in 1940 and is buried at Oʻahu Cemetery. Duke Kahanamoku was born on 24 ‘Aukake 1890 in Honolulu, moku o Kona, mokupuni o Oʻahu, Kō Hawaiʻi Pae ʻĀina [Hawaiian Kingdom] to Julia Paʻakonia Lonokahikini Paoa and Duke Halapu Kahanamoku, Sr. The younger Duke was an athletic and lively child that, like most of his peers in his Waikīkī neighborhood, grew up in the ocean. 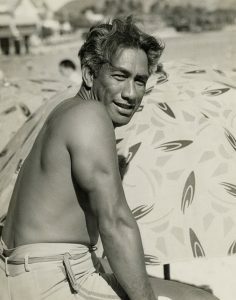 Kahanamoku, however, was a unique talent in the water, becoming an unbeatable swimmer who dominated amateur contests throughout his teen years. In 1912, the gifted Kanaka ʻŌiwi [Native Hawaiian] traveled to Stockholm, Sweden, as a member of the U.S. Olympic swimming team where he claimed a gold medal in the 100-meter freestyle and a silver in a team relay. Kahanamoku would compete in two more Olympic games—1920 in Antwerp and ʻ24 in Paris—winning two more gold and another silver medal. The Hawaiʻi native set several world records during his swimming career and was for many years considered the greatest freestyle swimmer in the world. Following the entry of the United States into World War I, the Hawaiian waterman traveled to more than two dozen US cities, swimming in exhibitions to raise money for the war effort. 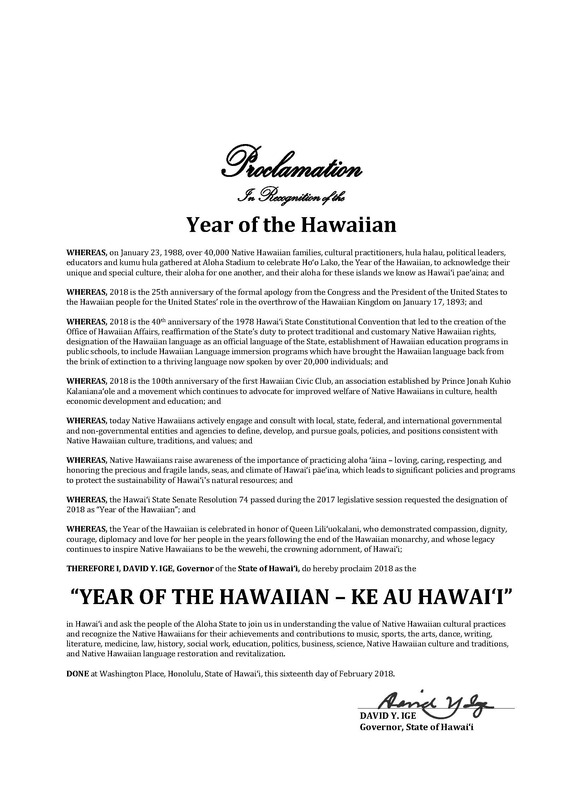 The pride and aloha that the people of Hawaiʻi had for their hometown hero was displayed in many ways including when, upon his return from the 1912 Olympics, a special fund to purchase the amateur athlete “I Hale Me Ka Aina No Duke Kahanamoku [A Home and Land for Duke Kahanamoku]” it was begun by the congregation of Ka ʻEkalesia o Wānanalua [Wānanalua Church] in Hāna, Maui. The world-class swimmer had an even larger impact within another of his childhood passions, surfing. 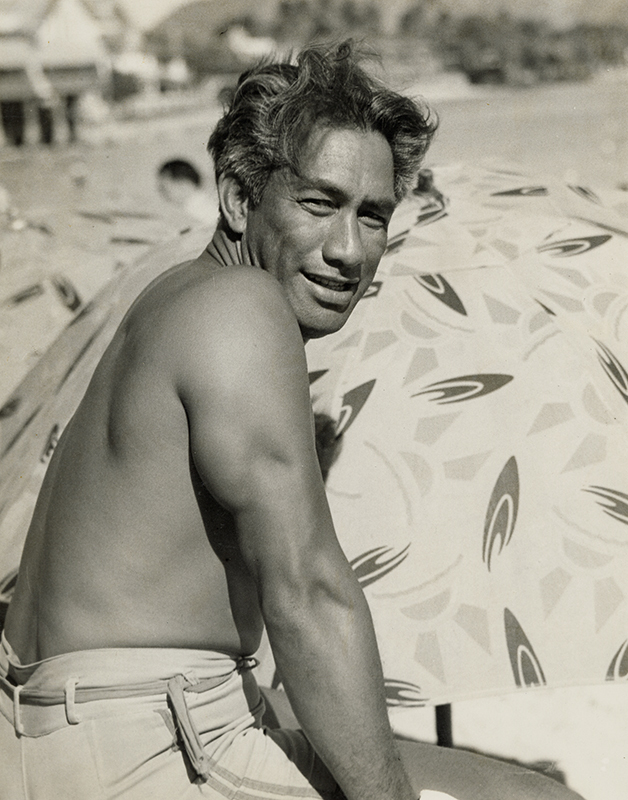 Kahanamoku would eventually become known as the father of modern surfing. A popular man throughout his life, Kahanamoku was elected sheriff of Honolulu in 1932; he won reelection 13 times. Honors for this larger-than-life Kanaka ʻŌiwi have continued long past his death in 1968. In 1990, on the centennial of his birth, a bronze statue of Duke was dedicated at Waikīkī Beach. In 2002 the United States Postal Service honored him with a limited edition first-class postage stamp and the internet search company Google displayed to its nearly one billion users a tribute to the Native Hawaiian on what would have been his 125th birthday. For more information about the Duke Kahanamoku Foundation, visit Outrigger Duke Kahanamoku Foundation. Pāʻū Riders representing the island of Molokaʻi pictured here in front of the Kanaʻina Building, which served as the State Archives from 1906 until 1953. Items pictured are part of the Artifact Collection, which consists of a variety of items that are part of Hawaiʻi’s history from the Hawaiian Kingdom era to present time. All three artifacts pictured were originally owned by Antoinette Marin Swan and were donated to the Hawaiʻi State Archives by Mrs. Jean Cowing Oakley in 1978. Artifact No. 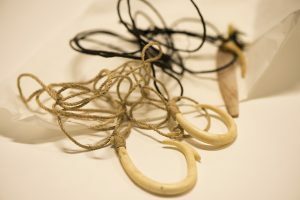 329 (foreground) is a bone fish hook with barb attached to an olona fiber line. Artifact No. 330 (midground) is a bone fish hook without a barb attached to an olona fiber line. Artifact No. 331 (background) is a mother-of-pearl fish hook shank and a bone barb with feathers attached to a braided human hair line. Space is limited, to register, email MaryJane.TadenaHart@hawaii.gov with your name and affiliation, and subject line of, “RSVP for Digital Preservation and Digital Archives session”.